At the IDW panel at San Diego Comic-Con, there was more talk about the Marvel Comics line for Young Readers announced earlier in the week. It will start in November, aimed at middle-grade readers, who they say are the fastest-growing group of readers. IDW’s John Barber could not be more excited about all this. He says he is working insanely close with them to make them accessible and real to readers and to take it as far as they can. Spider-Man will feature Peter and Miles along with Spider-Gwen. Avengers and Black Panther will also be coming. No crossover… for now. Avengers in December, Panther in January. 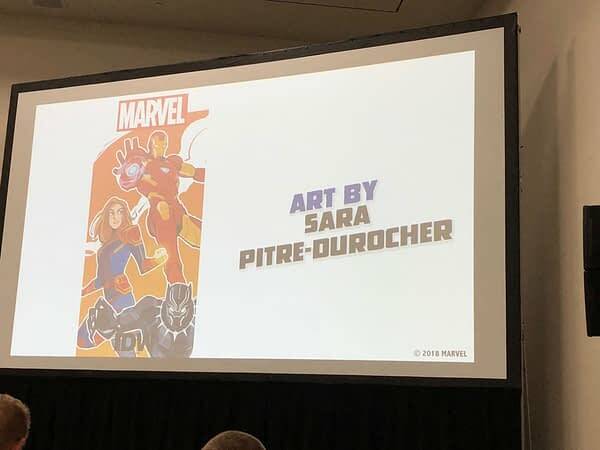 Captain Marvel will be on the Avengers roster, drawn by Sara Pitre-Durocher, and Shuri will play a part in Panther. 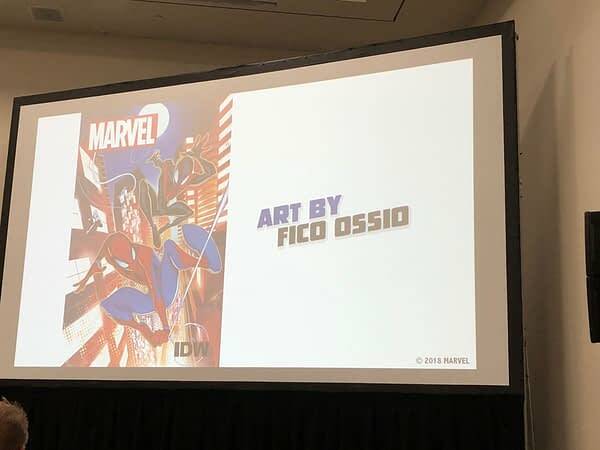 Spider-Man will be written by Delilah Dawson with art by Fico Ossio. When Delilah found out the news, she was so excited she hit her mouth and chipped a tooth. So be careful out there.